BACK IN STOCK – Canary Stainless Steel Non-Stick Cardboard Box Cutter « Adafruit Industries – Makers, hackers, artists, designers and engineers! 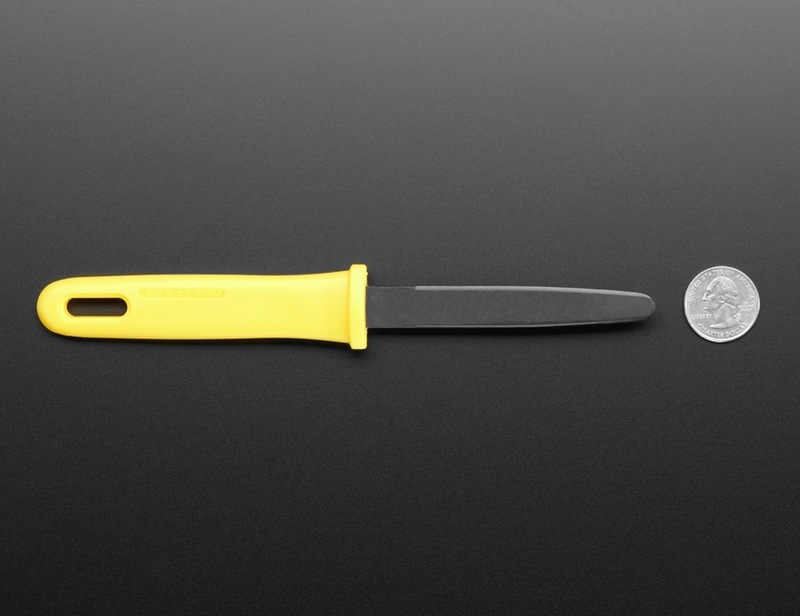 Cut through cardboard like butter with the Canary Box Cutter. This Japanese-made tool is perfectly engineered, way better than using scissors or a craft knife. 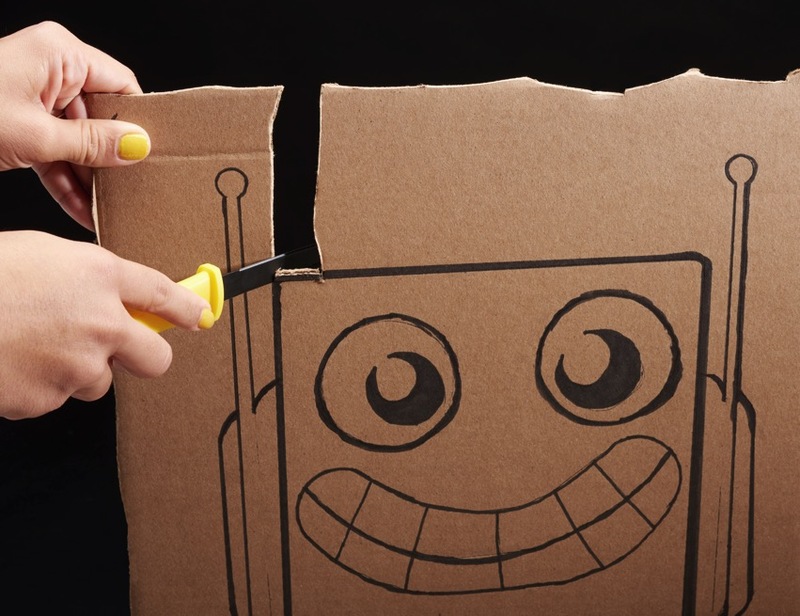 This is the perfect tool for cardboard-crafting-trashbot enthusiasts! Ever get annoyed when your blade gets stuck to tape or adhesive? The Canary’s fine sawtooth edge and non-stick coating take that problem out of the equation. The serrated double-edged blade makes it ideal for clean circular cuts. 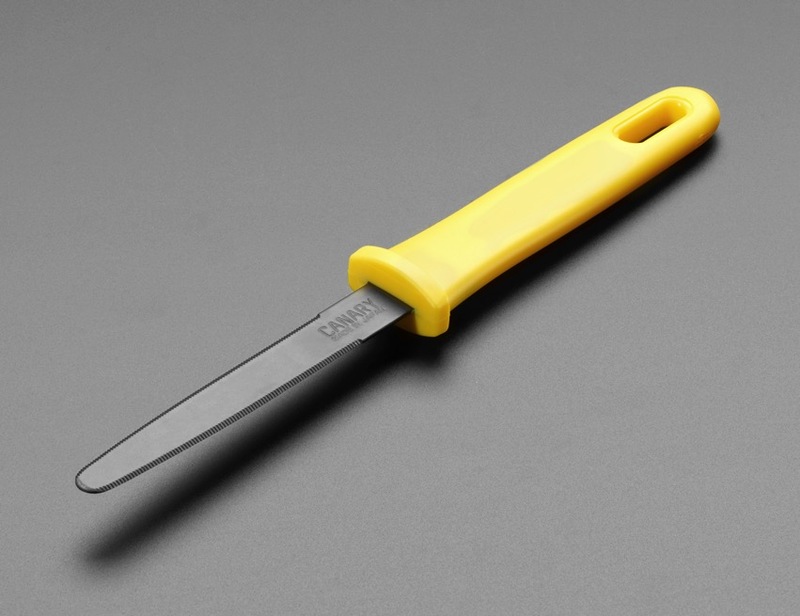 Its rounded chisel tip makes easy work out of peeling off stickers, making shallow cuts, or cutting packaging straps. If you’re a maker-crafter who often works with cardboard, this is a necessary accessory!